Toa’s is a unique brand. Her variety of accessories are beautifully made to suit occasions and events. Indeed excellence in craft is what best describes the Toa’s brand. 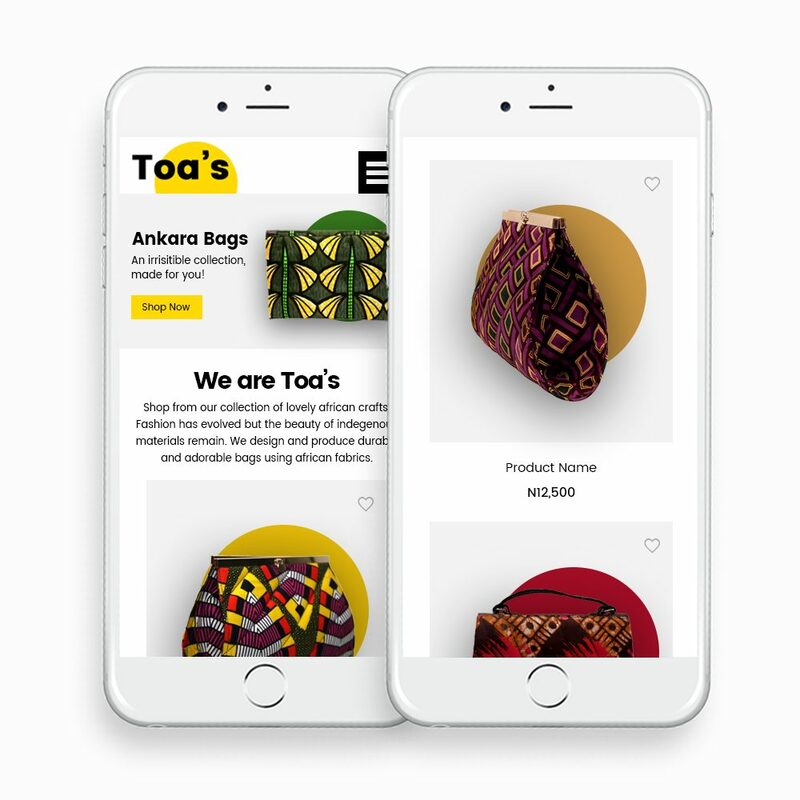 You will sure love our designs for TOA’s. It is all clean, colorful and easy to use. At DientWeb, the goal for us is always to balance good user experience with lovable design. We know your customers are on mobile, so we always make sure our websites look awesome on mobile. To us, whatever will make our client’s business succeed online is worth our effort. 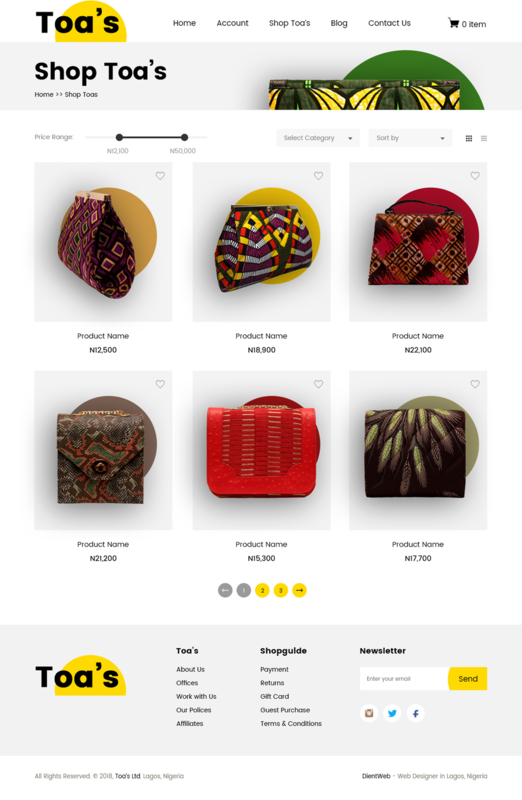 Need an Online Store/eCommerce Website or a Corporate Website for your business? Simply visit our Contact Us page to send us a quick note. You can also request a quote to get started.